Welcome to Day 570 of our Wisdom-Trek, and thank you for joining me. Thank you for joining us for our 5 days per week wisdom and legacy building podcast. This is day 570 of our trek, and it's time for a 3-minute mini-trek called Wisdom Unplugged. This short nugget of wisdom includes an inspirational quote with a little additional content for today’s trek. Consider this ... See More your vitamin supplement of wisdom for today. So let’s jump right in with today’s nugget. Today’s quote is from J.P. de Caussade who said, "Since God offers to manage our affairs for us, let us once and for all hand them over to His infinite wisdom, in order to occupy ourselves only with Himself and what belongs to Him. "Most of us try to control every detail of our lives and many times the lives of others. Much of the worry, anxiety, and drama that we have in our lives is because we feel out of control. We feel that the bad things of life are going to hit us, and there is little we can do about it. It is virtually impossible to control others, and many aspects of our own lives are beyond our direct control. God does give us free will, which allows us to try and control our lives and gives us the false sense that we can control circumstances. God also tells us in His Word that He will take care of us so we can turn over to Him all of the worry and anxiety that consumes our lives. God has infinite wisdom. He knows what is best for our lives. Instead of being occupied with all the things we cannot control, let is impact for good what we can and leave the rest to God. As Jesus taught us in Matthew 6:25-27, "That is why I tell you not to worry about everyday life—whether you have enough food and drink, or enough clothes to wear. Isn’t life more than food, and your body more than clothing? Look at the birds. They don’t plant or harvest or store food in barns, for your heavenly Father feeds them. And aren’t you far more valuable to him than they are? Can all your worries add a single moment to your life?" Let us focus on living a right life as Jesus said in Matthew 6:33, "Seek the Kingdom of God above all else, and live righteously, and he will give you everything you need." That’s a wrap for today’s Wisdom Unplugged. If you enjoy these quotes, I have created and published a searchable database of over 10,000 quotes that I have collected for many years. If you would like free access to my database of inspirational quotes, the link is available on the main page of Wisdom-Trek.com. As you enjoy these nuggets of wisdom, please encourage your friends and family to join us, and then come along tomorrow for another day of our Wisdom-Trek, Creating a Legacy. 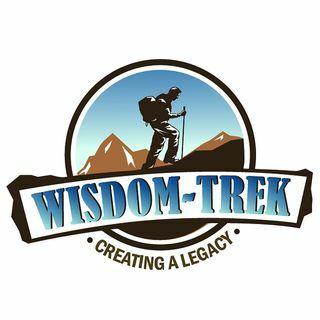 If you would like to listen to any of the past daily treks or read the associated journals, they are all available at Wisdom-Trek.com. You can also subscribe through iTunes or Google Play so that each day’s trek will be downloaded automatically. This is Guthrie Chamberlain reminding you to Keep Moving Forward, Enjoy Your Journey, and Create a Great Day Every Day! See you tomorrow for Wisdom Wednesday!